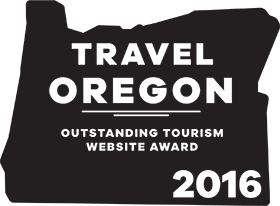 The Bandon Chamber of Commerce is the winner of the 2016 Outstanding Oregon Website Award from the The Oregon Tourism Commission. The commission’s annual Travel and Tourism Industry Achievement Awards recognize people and organizations across the state that go the extra mile to enhance the travel and tourism industry in Oregon. 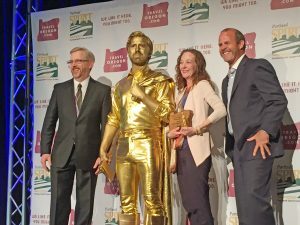 Recipients of 2016 awards were announced at the Governor’s Conference on Tourism in Salem, Oregon on May 10, 2017. “We’re thrilled and honored to receive the website award. This kind of industry recognition is especially exciting for our community because the web project involved so many of our Bandon Chamber business members,” said Julie Miller, Executive Director for the Bandon Chamber of Commerce. 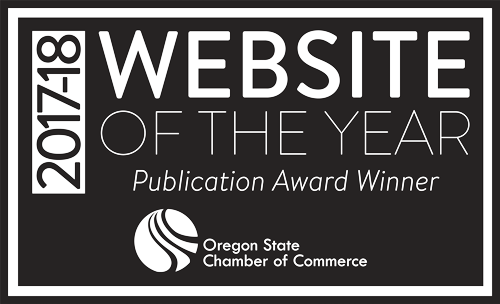 The Outstanding Oregon Website Award celebrates websites that utilize industry best practices in design, technology, strategy and content to impact travel to Oregon. Website award applications were reviewed by an independent panel of website, marketing and travel industry professionals. 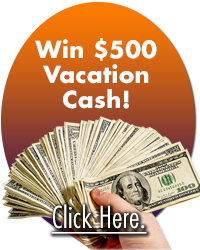 “I am extremely proud that the Bandon Chamber of Commerce is being acknowledged by Travel Oregon for the new website. To me this award celebrates creative excellence, love of Bandon, Oregon and all that is to each of us. To be recognized statewide as the foremost website in the State of Oregon– promoting the business of tourism, our members and their businesses, and for being an economic driver for the community– is impressive,” said Bandon Chamber Past President Margaret Pounder. The new Bandon Chamber website, bandon.com, launched in April 2016. But, research and planning started almost three years earlier. Advance planning included budgeting and support from the chamber board of directors and two years worth of website visitor survey data. Anecdotal feedback and ideas came from a 10-person pre-development committee representing multiple South Coast businesses; and a 10-person panel of beta reviewers. The website features contributions from more than 20 local photographers. While bandon.com is an interactive tourism marketing platform that benefits the entire community, two-thirds of the website development funds were paid by Bandon Chamber business member dues, with one third of funds contributed to the chamber as a grant by Wild Rivers Coast Alliance. Ongoing website maintenance and content development is financed by chamber member dues. The Bandon Chamber of Commerce was represented by website project contributor Geneva Miller at the 2017 Governor’s Conference on Tourism. Read more about bandon.com project development and contributors. Article by Geneva Miller. Contributed photo by Katherine Hoppe.